Spray both sides of the tortillas with non stick cooking spray and bake approximately 5 minute. Flip and cook another 2 -3 minutes until crispy. Remove tortillas from oven and place on a plate. 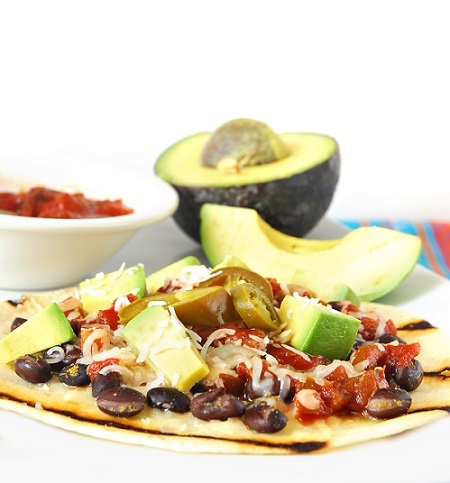 Top each tortilla with salsa, black beans, avocado, mozzarella cheese, and jalapeños.